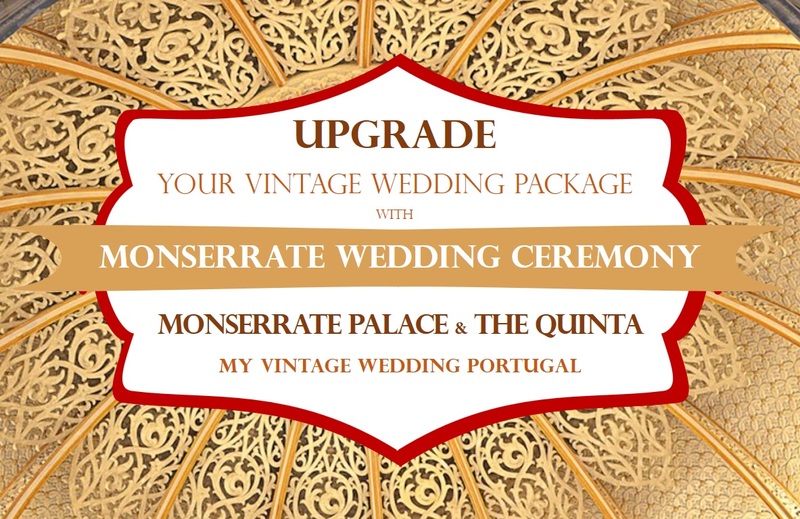 Imagine... having your Portugal wedding in one of the secret treasures of Sintra, the most romantic & rustic venue of them all. 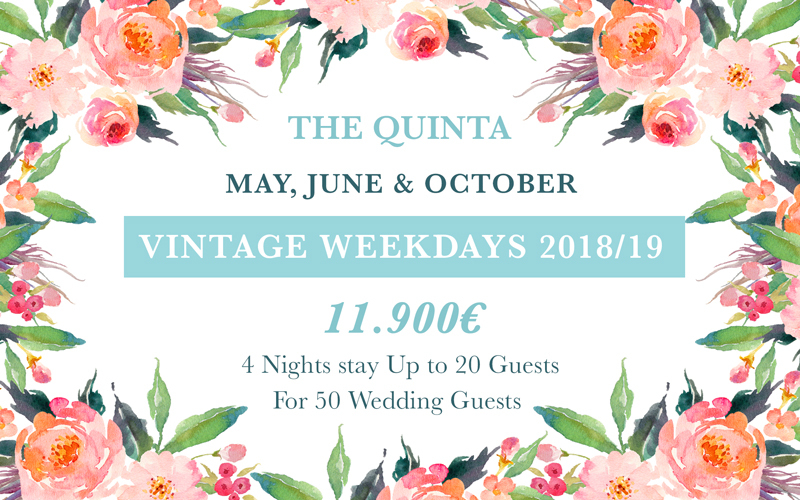 When you get married at The Quinta, a historical estate, the gardens, native woods and lovely sea views will always be there to share with friends and family. 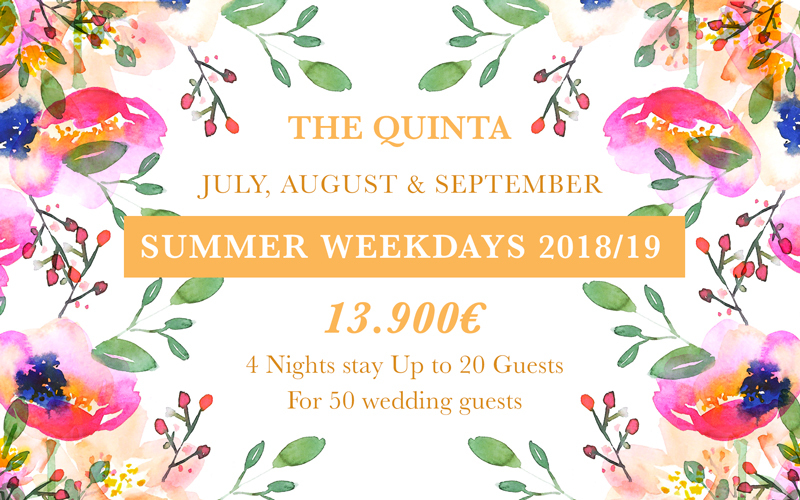 With breathtaking views all around, The Quinta is the most spectacular vintage wedding Portugal venue in Sintra – Portugal. 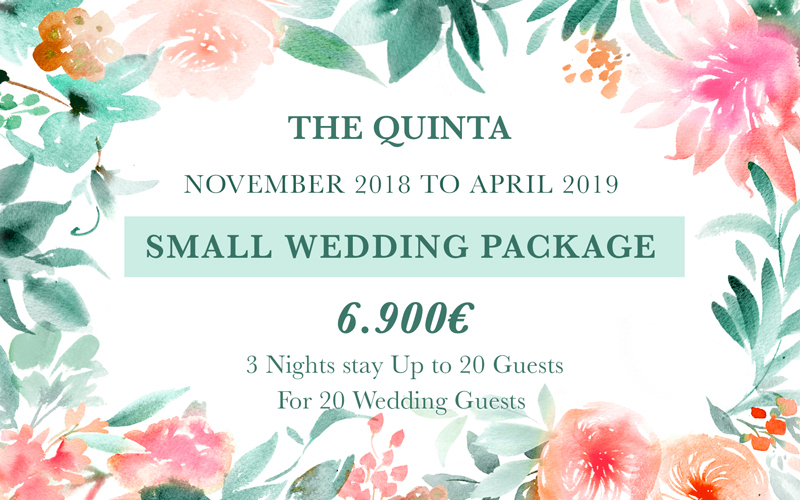 A spectacular and memorable backdrop for your reception, The Quinta can have weddings of up to 50 guests and provides an amazing wedding photography scenery. 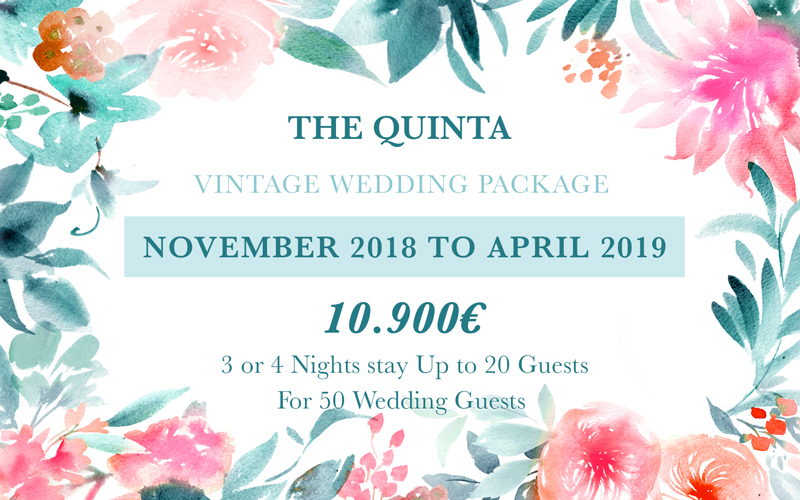 The Quinta, a romantic Portugal wedding venue for couples seeking a vintage wedding in Portugal, offers not only a romantic venue, but also something unique and quite original for your special day. 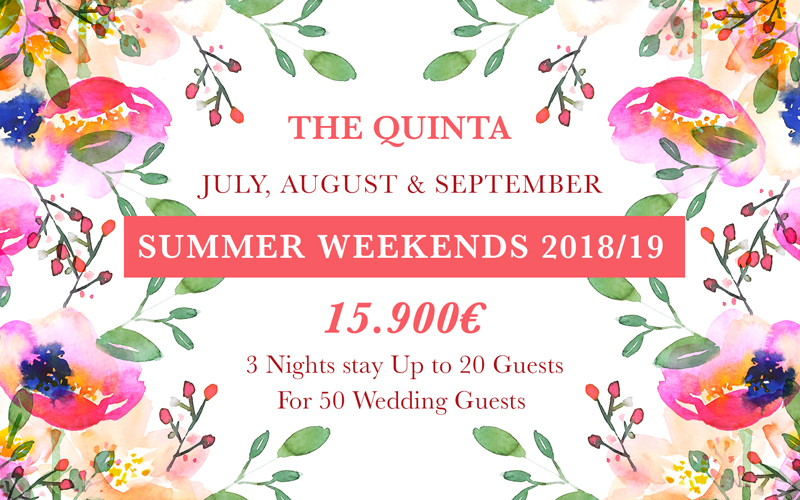 Aa your wedding is one of the most important days of your life, we can ensure you that your wedding day will be tailor-made to suit all of your needs. 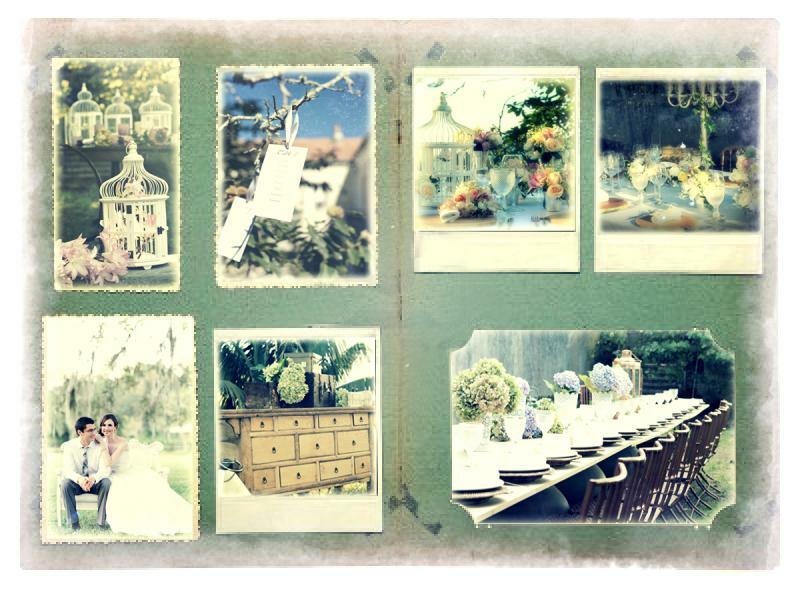 You can count on our experienced team of designers and planners to help you with the design, menu suggestions, seating arrangements, for special requirements and drink selections - in fact we are at your disposal to make your special day truly memorable in all aspects. 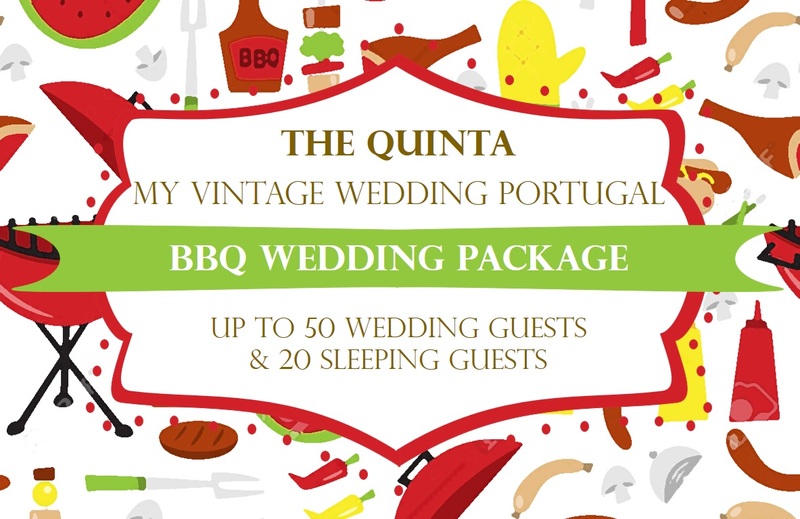 Choose from a civil ceremony to a renewal of vows on our enchanted chapel or in the gardens, followed by a relaxed cocktail on the terrace and a wedding outdoor reception chosen from a range of menu suggestions and our team will plan it accordingly. 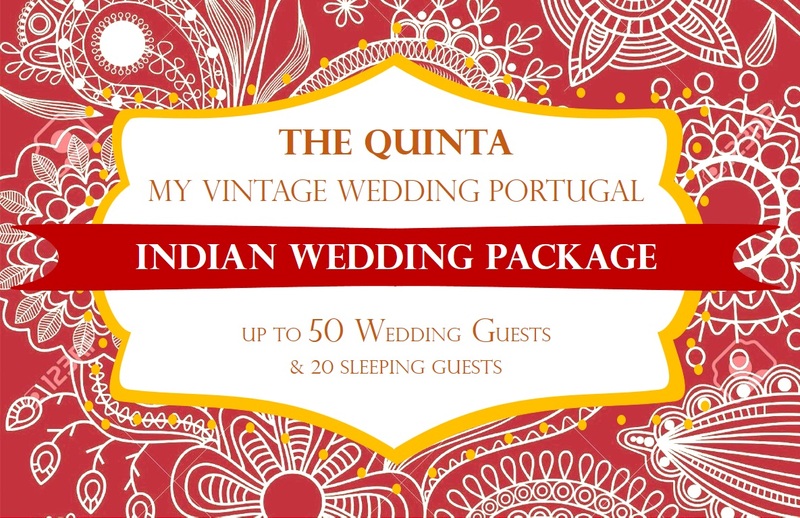 The Quinta is your unique, magical, perfect vintage wedding venue. 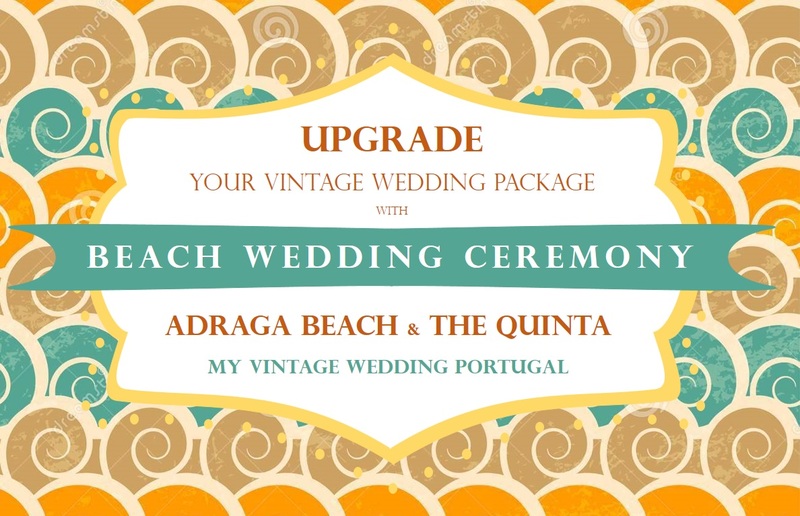 The best venue for your Wedding in Portugal.